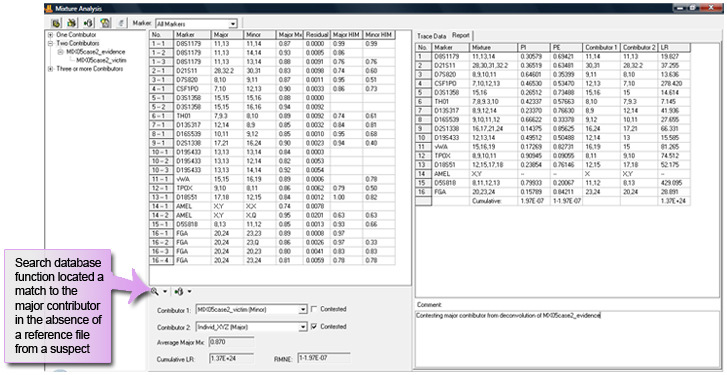 The Mixture Analysis Application is directly linked to the main analysis screen - avoiding the error prone, human transfer of data from one software package to another. 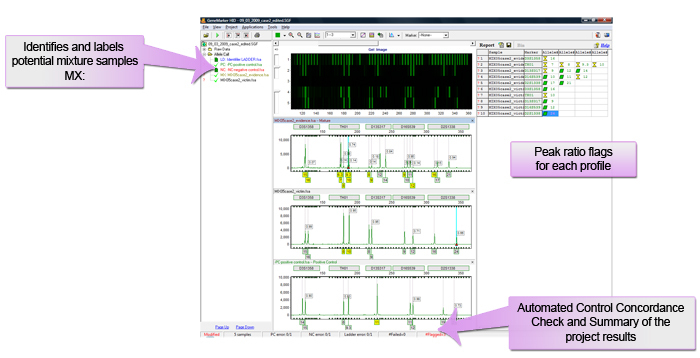 Repetitive calculations are automated, according to user-set analysis parameters. 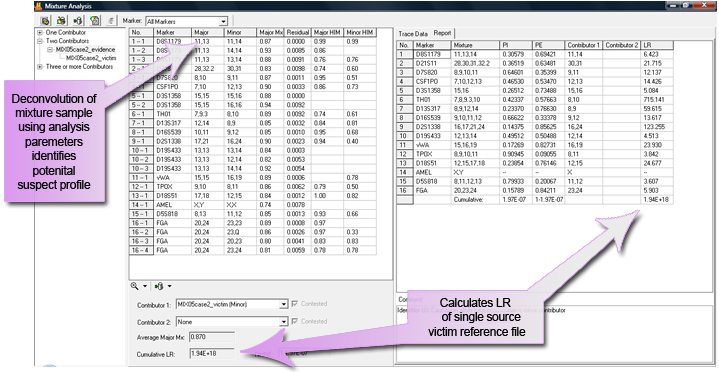 In this example a single source suspect sample was not available and the mixture application deduced major contributor potential suspect profile. All results are presented in report tables that may be saved or copy/pasted into existing documents. Click on the Search Database icon to locate matches to potential suspect profiles and calculate thenmixture statistics. 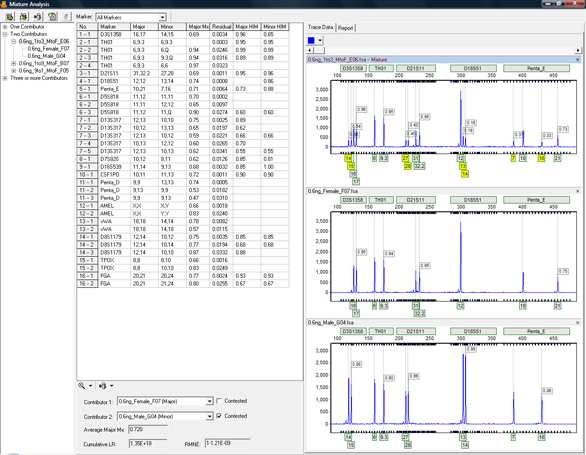 The Report table has an option to display the trace files of the mixture and all single source profiles that are contained with the mixture allele calls.